Izzy Fox is recognised as one of the most prominent digital healthcare investors in Europe. Izzy is the Head of Venture Capital at White Cloud Capital where she invests in early stage digital health and wellness companies in Europe, Australasia and Asia. 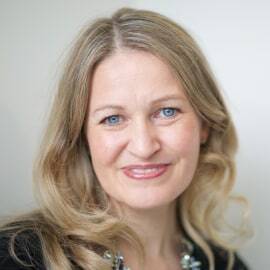 A long-standing angel investor, Izzy has personally backed many companies ​and has successfully launched and scaled her own businesses in the areas of marketing, communications and enterprise software both in the UK and US. At the age of 25, Izzy started her first company, a marketing consultancy, which she later sold to Grayling and at 30 started her second communications agency based in London, San Francisco and New York which sold to Hotwire PR. After years of working in technology - investing and scaling global businesses - Izzy followed her life long passion and trained as a wellness coach at The Institute for Integrative Nutrition (IIN) in New York City. An advocate for preventative healthcare models ​ Izzy is focused on funding and supporting entrepreneurs working at the intersection of healthcare and technology. She is driven to make healthcare and preventative health better for every human being —driving down the cost to deliver improved services and outcomes to more people.